Robert Brindley's Blog: Join me in Venice - Places Still Available! 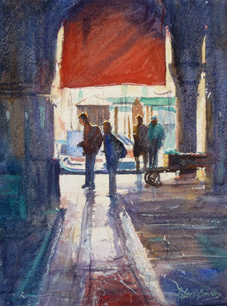 Have you ever fancied painting in the magical City of Venice........ there are still places if you'd like to join me? I'm very excited to have been asked to tutor an 8 day course for West Norfolk Arts Centre in May. The course will be run on a structured basis, visiting carefully chosen painting locations, where you can paint in your chosen medium.